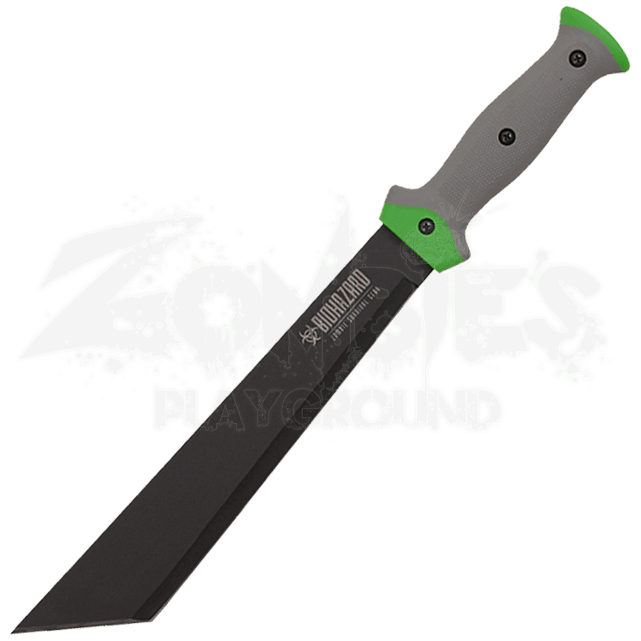 Do not waste time waiting for the horde to ramble down the road, create your own path with the Biohazard Zombie Survival Machete. The wide, stout blade is just as good at piercing undead flesh as it is for clearing thick vegetation. This survival tool offers both strength and durability. The full tang blade is made of stainless steel. 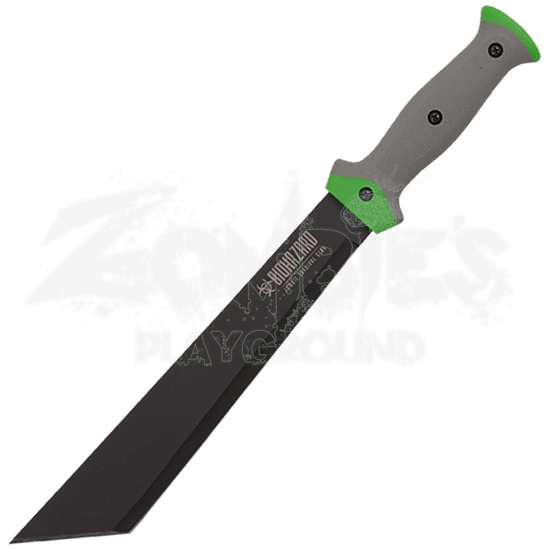 Its black finish combined with a green and gray handle suits the post-apocalyptic scene. The textured grip reduces slippage, supporting swift, precise cutting. A nylon sheath is included for safe and convenient storage.